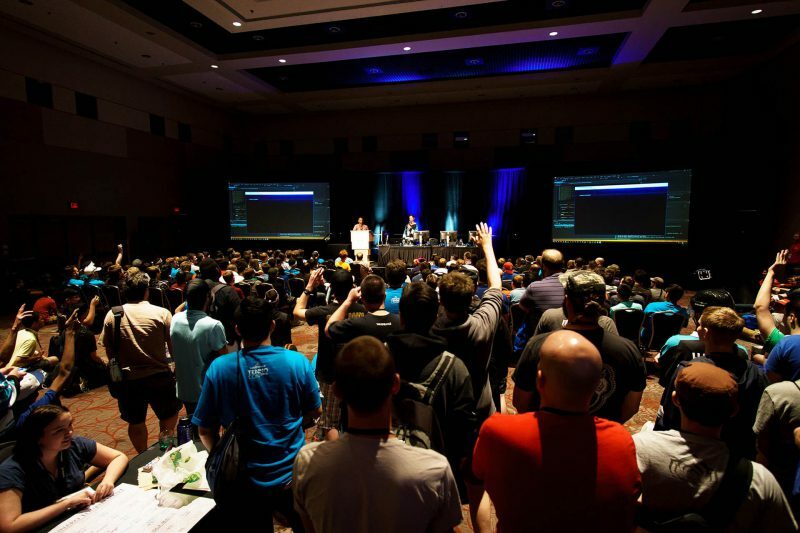 TennoCon - Warframe - Connect Dot Management Inc.
TennoCon, an event that brings you a one of a kind action packed day dedicated to all things Warframe, a free play online game created by Digital Extremes, takes place annually at the London Convention Centre. Thousands of participants travel from all of the world where they can play and connect with developers, well-known Twitch, YouTube broadcasters and other fellow players. Connect Dot Management joins the planning team the provides attendees with a full day of interactive panels, giveaways, merchandise and game simulated activities. This is an annual event you won’t want to miss! The Connect Dot team is customized in accordance with the needs of each of our clients. Every day we push the boundaries of our industry’s traditional approaches by providing the needs and anticipating the wants of our clients and the communities and stakeholders they serve. It is our philosophy to make our business understand your business. Let us design the Connect Dot team that is right for you. Contact us today!